What is the Statistics Server? What is the NEW Statistics Server? The new Statistics Server is also known as the embedded Statistics Server or Statistics Service. Prior to SP7 the Statistics Server was a separate server process - like an extra Index Server with monitoring services on top of it. The new Statistics Server is now embedded in the Index Server. The advantage of this is to simplify the SAP HANA architecture and assist us in avoiding out of memory issues of the Statistics Server, as it was defaulted to use only 5% of the total memory. 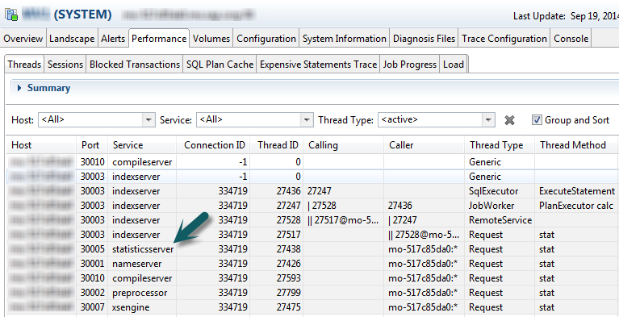 In SP7 and SP8 the old Statistics Server is still implemented and shipped to customers, but can migrate to the new statistics service if they would like by following SAP note 1917938. How to Implement the New Statistics Server? 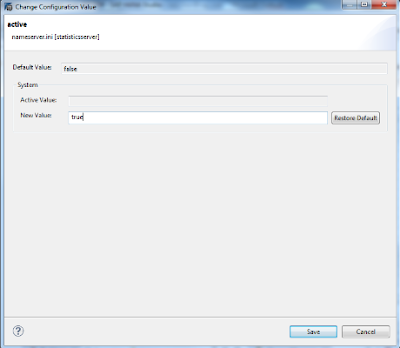 The following screen caps will show how to implement the new Statistics Server. I also make note of what your system looks like before and after you perform this implementation (the steps to perform the migration are listed in SAP note 1917938 as well). Once this done check the ‘Landscape’ and ‘Performance’ tab. The results will show the status and the time of the deployment. 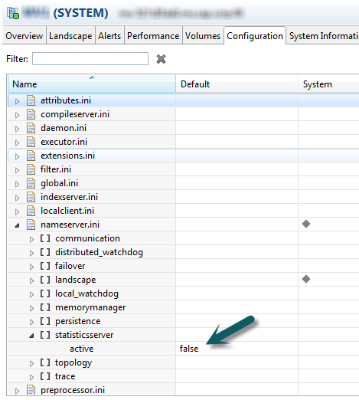 If the deployment does not work review the trace files to pin point where an error occurred.Below I have examples of trace snippets of a successful deployment of the embedded Statistics Service. The statistics service is a set of tables and SQL procedures, so if you check the index server trace you will see the deployment of version SQL procedures, and an error could occur during the SQL execution. How do I check if it is running? How Do I Revert Back? 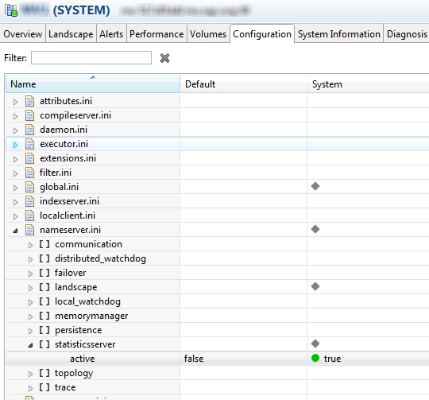 nameserver.ini-> statisticsserver->active back to false, but you will have to perform a recovery to a time before you performed the migration.